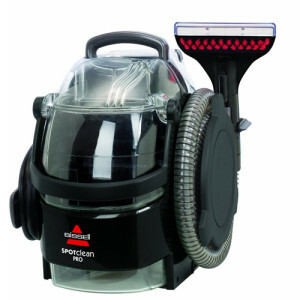 Bissell carpet cleaning machines are among the most popular brand of home cleaning machines. Bissell’s steam carpet cleaners come in models for deep cleaning the whole carpet, spot cleaning, and cleaning hard floor surfaces. For those consumers that are searching for information about Bissell carpet steam cleaners and what types of cleaning situations they are best suited for, this guide is for you. We will examine the three different types of Bissell carpet cleaning machines, useful for different situations and floor types, as well as a leading Bissell model in each category. Bissell got their start in the late 1800’s with an emphasis on effective carpet sweepers that featured innovative designs. As time went on and the company expanded, the family of Bissell carpet cleaners expanded to offer machines that were capable of deep cleaning for all types of situations. Let’s take a look at a few of these now. 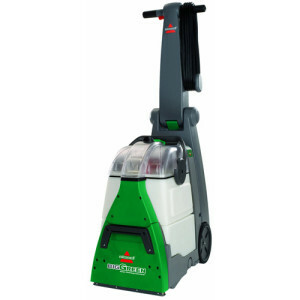 The three main types of deep cleaning Bissell carpet cleaning machines that are featured include: hot water extraction models for whole carpet cleaning, the spot cleaning models for pet messes and small spills, and the hard floor surface machines that provide easier cleaning for hardwoods or tiled surfaces. Bissell is known for its carpet steam cleaners, and the Big Green Deep Cleaning Machine stands out above all the rest with its professional-grade deep cleaning ability and a near perfect 5-star average customer rating. When you want to deep clean your carpet with professional results, the full-sized upright and canister models of Bissell carpet cleaners are the perfect solution. Since they are specifically designed with features that provide effective hot water extraction steam cleaning for your home, they are an investment that can pay off with the first use. Popular models include the Bissell ProHeat series including the newer ProHeat 2X , the Bissell ReadyClean being their cheapest option that is lightweight and strong enough for most everyday carpet cleaning situations. But the strongest model of Bissell carpet cleaning machines is and remains their Big Green Deep Cleaning Machine , pictured at right, which gives you professional grade carpet cleaning any time you want in the home. It is deep cleaning at its best, and customers have given it the highest ratings of any carpet cleaner on the Amazon marketplace. Meanwhile, the Bissell steam cleaners in the ProHeat series include a built-in heater that quickly raises the temperature of your tap water by 25 degrees for optimal hot water cleaning. The ProHeat 2X features the “Clean Shot” feature, which lets you put extra cleaner on those spots that need extra spot cleaning. The Bissell ReadyClean is one of the most affordable upright steam cleaners and it is perfect for lighter traffic homes. In addition, it can easily handle the hard floor surfaces as well as carpeted surfaces. There are a variety of models to consider in this popular series of carpet cleaners. Bissell carpet cleaners in the spot-cleaning family offer a variety of features that are suited to removing specific stains, between your regular deep-cleaning times. The Bissell SpotBot is a popular spot cleaning machine in part because it’s designed to be hands free–you can walk away while the little cleaner does the work for you on the floor. This model is designed to work on pet stains and odors in the carpet as well. The Bissell SpotBot, Bissell Spot Lifter and the Bissell Little Green Machine offer a variety of models to choose from and they are all very effective and affordable. You can take advantage of the Bissell SpotBot , which features hands-free cleaning or you can use the 3 inch stain tool to clean up the spills or pet messes in a few minutes. 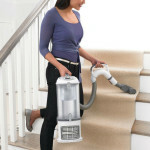 It is easily portable and perfect for cleaning stairs and upholstery. The Bissell Spotlifter is available in corded or cordless models and it is the perfect lightweight handheld carpet cleaner for getting spills cleaned up before they get set in. 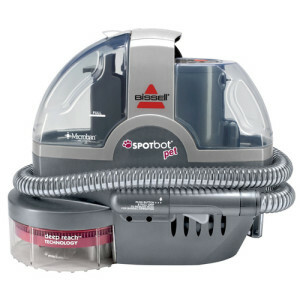 Since it is more affordable than the Spot Bot, at less than half the price, it is the perfect alternative to dragging out the bigger Bissell carpet cleaning machines. 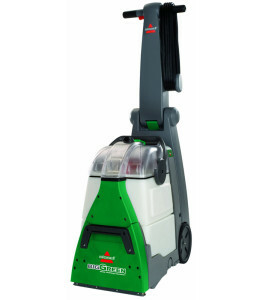 Last, but not least is the Little Green Machine , which is available in a variety of models because they come with specific tools and specific Little Green cleaning formulas to get the job done. Whether you need to clean your carpet, upholstery, auto, or pet stains, you are sure to find a great spot cleaner from Bissell to get the job done. The hard floor cleaners are an important part of cleaning your entire home if you have a variety of floor surfaces. 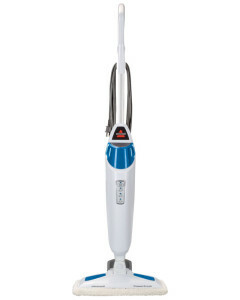 The Bissell Steam Mop and Bissell Total Floors are two popular models in this category. The stylish Bissell PowerFresh Pet Steam Mop has the distinction of being the #1 best seller in the Steam Mop category on Amazon. The Bissell Powerfresh Steam Mop is ready to clean in 30 seconds, whether you have ceramic tile, hardwood or laminated floors and even marble or linoleum are quickly steam cleaned. It has the distinction as well as being the #1 best seller in steam mops on Amazon, and has earned high reviews from customer ratings. 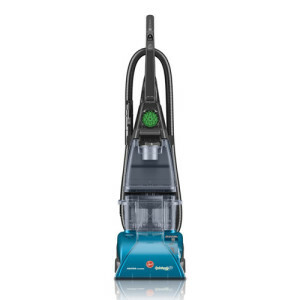 The Bissell Total Floors is similar to Bissell’s older hard floor cleaner model called Flip It. The Total Floors model is new and improved, and is still capable of operating as an upright stick vacuum, with both wet or dry vacuuming capability. With the mopping heads, soft brush or soft pad, you can clean all floor surfaces with wet or dry cleaning. The great features are the fingertip dispensing of the cleaning solution and the 8 pound portability. With so many wet and dry cleaning options, both as a vacuum and as a mop, it is an extremely versatile solution to cleaning all kinds of floor surfaces. No matter what Bissell Carpet Cleaning Machines you select, you will find reliable models, with the features you need, at a price you can afford. They are an affordable investment that can provide the best deep cleaning for the floor surfaces of your entire home with many of the above steam cleaners, spot cleaners, or hard floor cleaners.